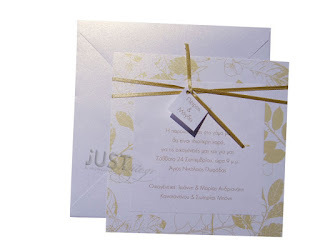 Wedding invitations square, white in colour with a gold-leaves pattern coming with white, square classic pearlised envelopes. 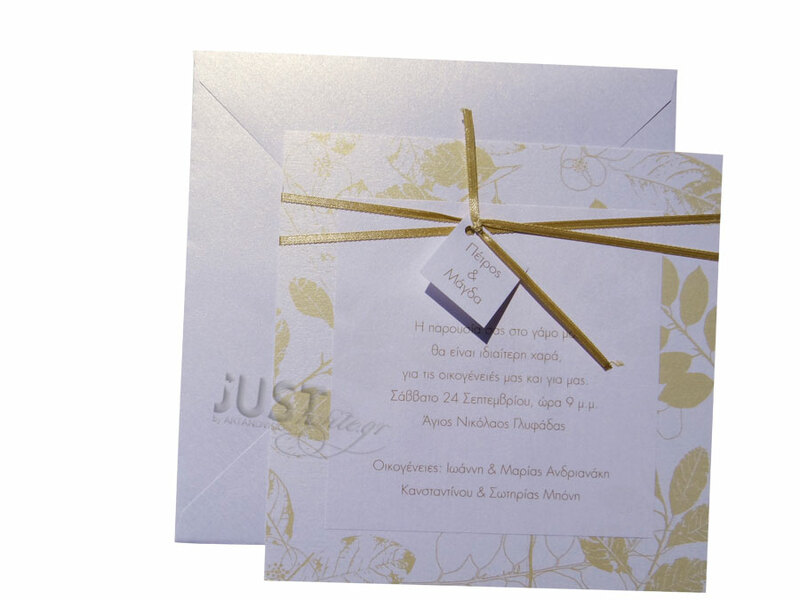 Your personalised wording is printed in plain gold foil, postcard in style and the design is finished with a gold, satin ribbon, the guest’s name tag elegantly attached to it. Unit price: 1, 67 euro. Printing Price: 65 euro total (VAT included). Shipping cost not included. https://www.preciousandpretty.com/2017/10/wedding-invitations-with-gold-leaves-A807.html Greek Wedding Favors|Orthodox Crowns|Stefana|Baptism Invitations Wedding invitations with gold leaves A807 Wedding invitations, with gold-leaves pattern, finished with a gold satin ribbon. Product #: Greek Wedding Favors|Orthodox Crowns|Stefana|Baptism Invitations_448435667572573449 5 stars out of 5 reviews.